There is no better customer than a sticky customer! 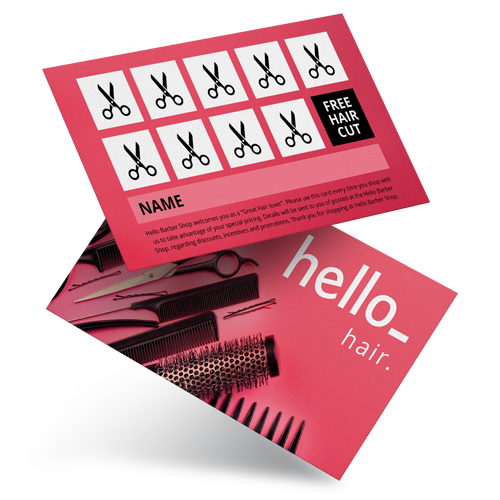 With Loyalty Cards you ensure that your customers will stick around. 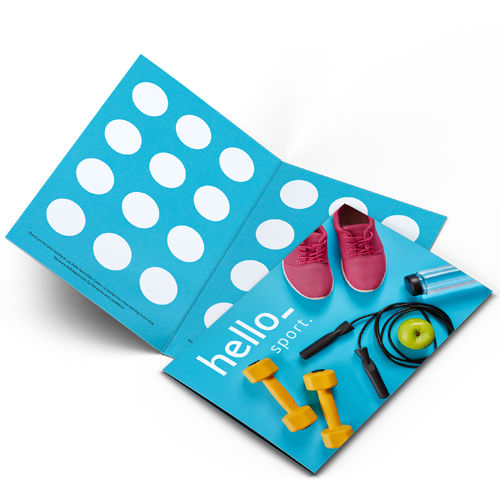 With creative design, introduce a loyalty system and make sure your customer returns more often and faster. Choose the writable cards if you want to work with a stamp system and choose the 400gsm Unlaminated cards if you want to work with a hole punch or sticker system. Take a look at our stamps or labels on roll to complete your order. All our loyalty cards have a standard size of 85x55mm. If you have any enquiries about the paper types or other aspects, feel free to contact us. The classic loyalty card paper. Perfect for stamping or to write on. The design will be printed on 340gsm white cards. This is the most common paper type for loyalty cards. 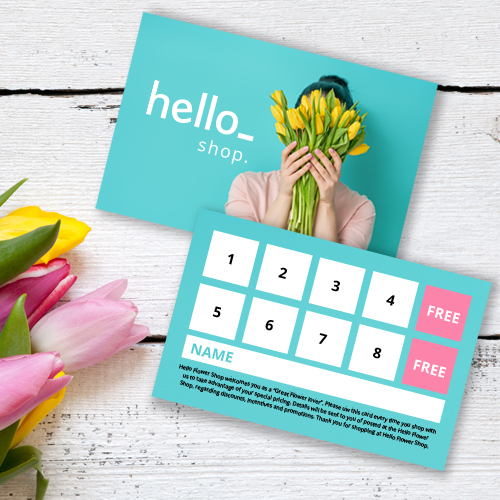 With these 400gsm silk loyalty cards, you're guaranteed to have sticky customers. 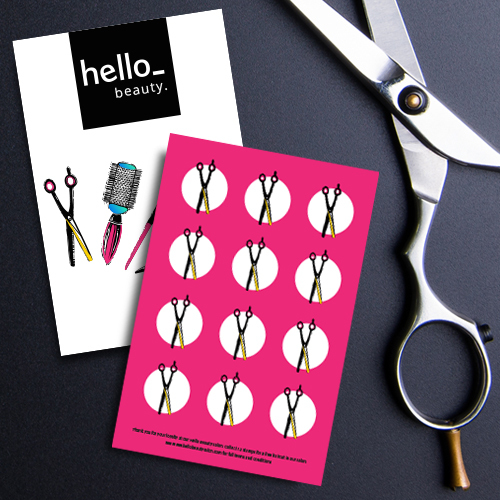 These sturdy cards are perfect perforable or stickerable! 5 Do you want a card holder? Prevent your businesscards from getting damaged. 400gr silk MC + matt lamination: select the 400gr silk mc + matt lamination if you want to give your products that extra feeling. 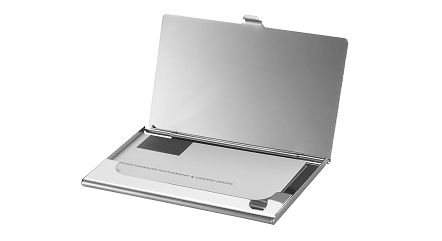 The matt lamination gives your product a luxurious and powerful look. 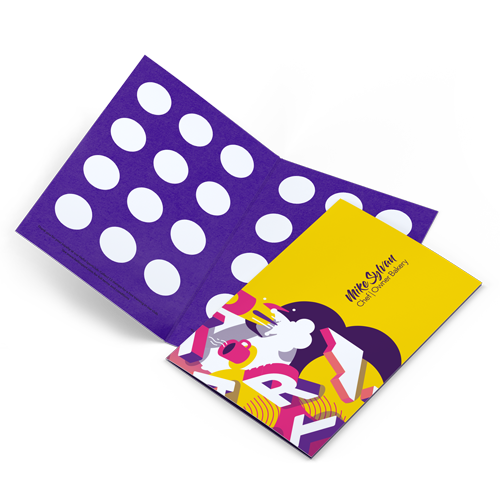 400gr silk MC + matt + Spot UV: the spot UV gives an extra dimension to your business card. The glossy accents makes your design extra vivid. PLEASE NOTE: for business cards with spot UV there are different guidelines. For the delivery of your loyalty cards we use multiple carriers. Because of the highest reliability, in most cases we use UPS or DPD. The loyalty cards that is chosen in most cases can be selected via our website.